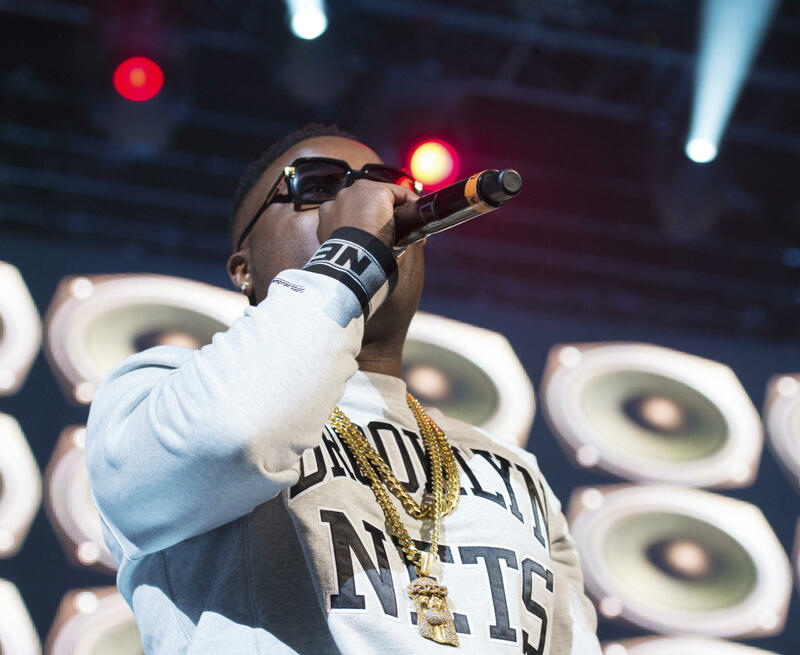 NEW YORK -- Authorities say rapper Troy Ave has been shot while sitting in his car at a Brooklyn intersection. Attorney Scott Lemon says his client, whose real name is Roland Collins, was on his way to visit family Sunday evening when he was shot twice. Police say the 31-year-old Collins was in a red Maserati when a man fired several rounds into the car, striking Collins once in the arm and grazing his head. Collins is hospitalized in fair condition. No arrests have been made. Collins is free on bail following his May arrest in connection with a fatal shooting inside a popular Manhattan concert venue. He has pleaded not guilty to attempted murder charges. He also was shot in that incident. As news of the shooting broke, friends and fellow artists turned to social media to wish the rapper well.